The process of acculturating never stops. Every day I learn something new about the American culture. After almost three years, I thought I knew what type of food Americans eat, but I was wrong. Even though I already know a large portion of the foods that you can find in America, I keep learning new traditions. In the past few weeks I had the opportunity to try three new types of food. They are completely different in their background, but they are all part of this particular culture. The first one is “soul food.” That’s how the owners of the restaurant that I went two weeks ago call this type of food. 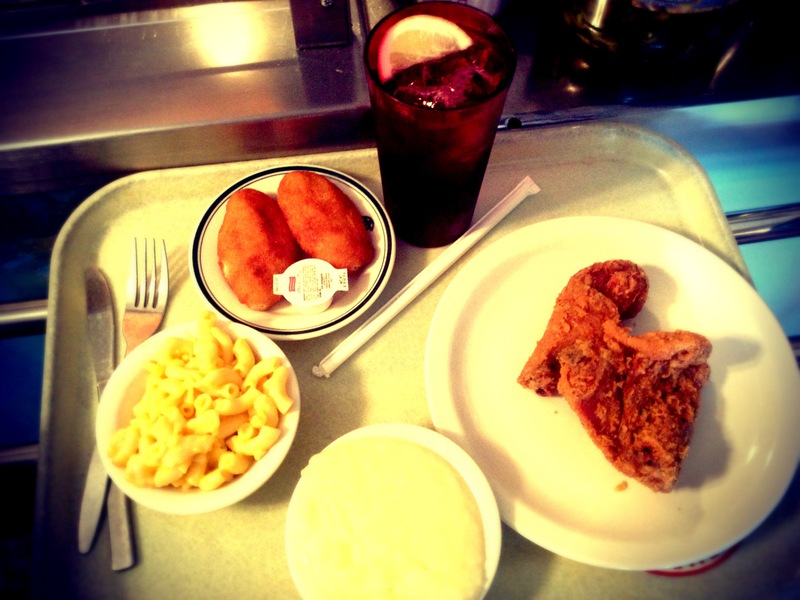 Among the things they offer they have fried chicken with mashed potatoes and mac and cheese (that was my choice for the day). You might be wondering, “Has this girl never tried that before? That is a common meal,” and you are right! This meal is very common, and yes I have tried it before. The difference is the way it was cooked. It is called soul food because of how it is prepared. And let me tell you, it tasted really good! 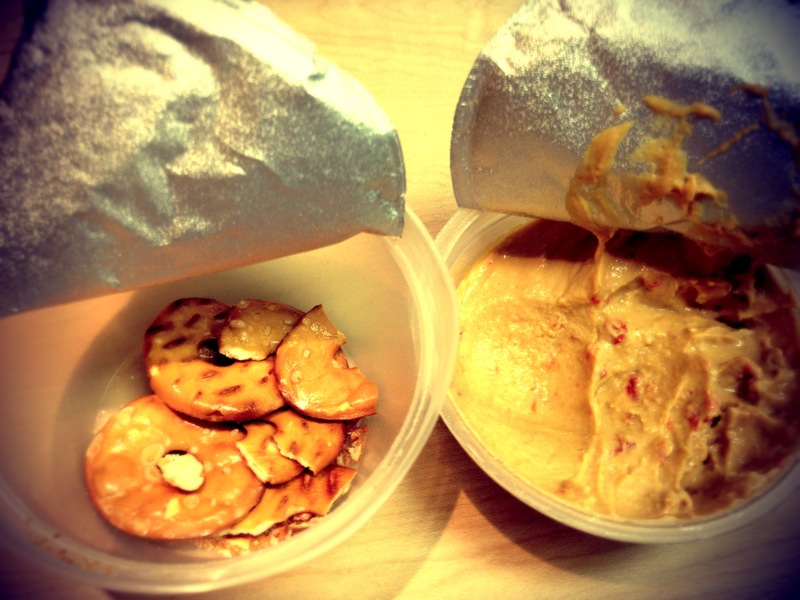 The second thing that I tried these past few weeks is pretzels with hummus. I really like pretzels, but I thought I didn’t like hummus. I think I tried it at some point some years ago and for some reason I didn’t find it tasty. This time was different. Now I am a little obsessed with it. I can’t stop eating it! 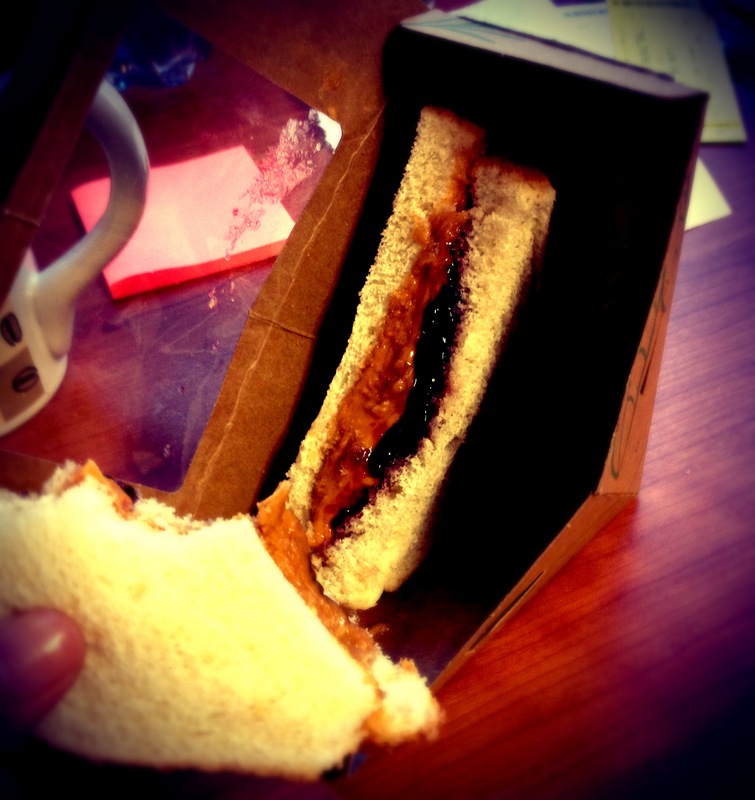 The last thing that I want to share with you guys about the American food, is a very traditional thing: PB and J sandwiches. It turns out that one time when I was 8 years old I was visiting America, and the person that was hosting our visit gave my sister and me a peanut butter and jelly sandwich. I did not like it at all! A couple of days ago, I was wondering around the cafeteria at my school trying to find a snack. There it was waiting for me. It looked like it was almost saying my name. The PB and J sandwich was calling me. I knew I didn’t like it, but I decided to be adventurous and give it another try. I have to say, I loved it! After eating that sandwich I felt Americanized. I will definitely include that in my meals more often. 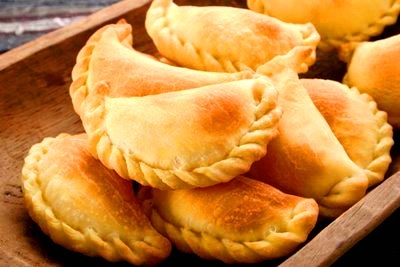 Let me tell you something that I really miss about my country, Argentina: empanadas. These are one of the best things you can ever try in your life. There are different ways of cooking empanadas, but most of the time you will end up with a delicious dish. If you want to try something new and impress your friends, my suggestion is to make empanadas! Here is an easy recipe that you can follow. What other foods are really traditional in the American culture? What dish have you tried from another country and really liked? Let me know how it goes with making the empanadas! Throughout the weeks in my previous posts, I have been talking about different topics related to the American culture, and my journey as I am acculturating to this country. This week I want to do something different. I want to make a stop. I live on campus while I am studying to get my degree in journalism and new media from an amazing university in Nashville, Tenn. This time of the year, things can get a little crazy. I am sure most students out there are feeling the end-of-the-semester stress. I am at that point right now. If I put all the assignments that I have due before Thanksgiving together, I could build a tower higher than the tower of Babel. Just kidding, but kind of. I really felt the pressure this week. I can imagine that most of the students are going through similar stages in their semester where one exam could determine their grade. One extra assignment could get you to the grade that you wanted. A final paper could be the only important grade during the whole class. With a full agenda and no time for anything else but study, I find myself sleep deprived. When I spend a night studying, I usually take time from the next day to compensate and get some rest. Last week, after studying all night for a test, I needed to take a nap. The problem was that I couldn’t. The activities during that day and the responsibilities that I had for the next day made it impossible for me to sleep. So, there I was. Tired, stressed out and with a lot to do. When I was about to burst in tears, I remembered two things. The first one was a reminder that no matter how hard my task may seem at the moment, I was able to do it. “I can do all things through Him who gives me strength” (Philippians 4:13). Even when it seems like it is a lot, or like it is too hard, you can do it! In a couple of days you are going to look back on your results and celebrate your achievements. For that to happen, you need to decide today where you want to be tomorrow. What do you do when you feel as if you are unable to achieve your goals? If you are a student or a worker with an abundant amount of work, what do you do to de-stress? Hunting the perfect halloween costume! 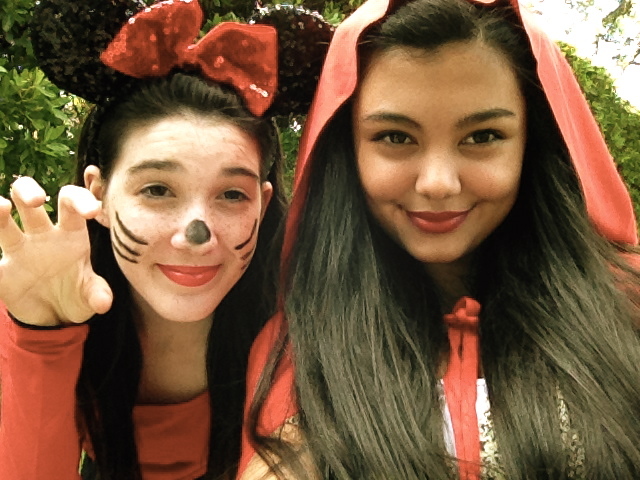 From right to left: my beautiful little sister, Abigail, with her friend Sarah during Halloween day. It’s that time of the year again: Halloween. In Argentina most of the people celebrate Halloween, but it’s not as important as it is in America. Now that I am living in Nashville, I can really experience the way Americans celebrate this day. They do it big! This year, for the first time in more than 10 years, I am going to wear a costume! I am really exited about this. It could be because of the fact that I feel like a child again, or maybe because I really like the character that I am going to be. I was on the lookout for a great costume that would be fun and also appropriate. Without any idea of what I was going to be, my friend and I designated a time on our agendas to go buy the things that we needed for our costume. When the time came, we hopped in the car and began our journey to a very popular thrift shop in the United States. Before you start judging, you have to remember that we are college students and our budget is limited. Please and thank you! While we were driving to the store, a sudden rush of inspiration came to me. “I got it!” I said. I knew exactly what I wanted to be. The next step was getting all the necessary accessories to make this costume come to life. We arrived at the store, and almost half of the people from our school were there trying to find something for this particular day where we all get to play like kids again. I found a yellow shirt in the first store, black gloves in the second one, yellow tights in the third one, and my friend was going to lend me lab goggles. I was almost ready, but I realized that the most important thing was missing; I needed overall. I couldn’t find it anywhere! I went to three stores and no one had it. I was a little sad because my costume was ruined. Without the overalls, my costume was not going to be how I pictured them . The next day I was talking to all my friends about this much needed overalls. No one seemed to have them. Where did all the overalls go? I thought everyone had a pair in the back of their closets, but I guess not. I kept talking about this until I got to the point where I lost all hope. During one afternoon, I had a meeting with a new friend from school. I was telling her about my excitement for dressing up and having fun with my friends on this festivity, and I mentioned the overall. To my surprise, SHE HAD A PAIR!! Now, my costume is complete and I am completely ready for my Halloween party. 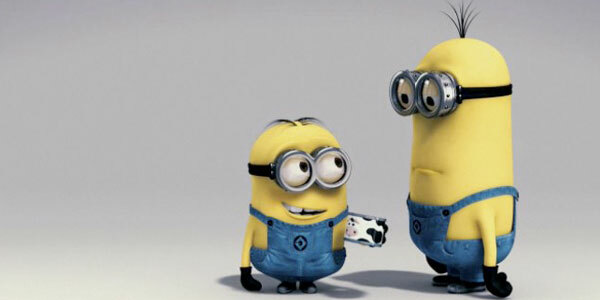 Before I tell you what I am going to be, I have to ask you the following: Have you seen the movie Despicable Me? (If you said yes, keep reading. If you said no, go to the link and then keep reading). Yes! I am going to be a minion!! After all these years without celebrating Halloween, it’s going to be a lot of fun to wear a costume and eat candy in this sweet and spooky holiday. There are many ways to celebrate Halloween. Some people go out trick-or-treating, some others dress up as their favorite characters, and some others watch Halloween movies. What do you do to celebrate this festivity? Do you go all-out with decorations for this holiday? In Spanish we have a saying: “Dime con quien andas, y te diré quien eres.” Which translates to something like “tell me who you are with, and I’ll tell you who you are.” When I first came to college in Nashville, Tenn., I wanted to meet as many people as I could. I was excited about the new opportunities to meet lots of new friends. I didn’t know that in America they did this in a different way. At least, it was different for me because I was used to something completely different. After a couple of weeks living on campus and mingling with other students, I noticed there was some kind of separation between upperclassmen and freshmen. I didn’t really know the magnitude of this social segregation until I had to choose whom to eat lunch with every day. Because we live on campus, we spend almost all day with our friends at school. Depending on the company, your experience at school can change drastically. It is almost as if natural selection takes place whenever new groups of people meet. Is it OK to select who you want to be friends with? I think it is, but what happens with the people you choose not to be friends with? This point is something that I keep struggling with in my mind. If you know someone’s name or if you talked to that person before, according to my worldview, the correct thing to do is to say “hello.” It doesn’t matter if he or she is not an upperclassmen or if that person is not your “type” of person. It is rude not to say hi. Now, let’s look at this from the opposite point of view. You could say: “I want to select my friends based on the year they are in, and based on their interests.” Maybe 40 percent of the students at my university choose this option and decide to socialize only with these people. Whom you are with, most of the time, is going to define who you turn out to be. The friendships that you have in college are going to change your future in different ways. It might be possible that the person you see every day and never say hi to, turns out to be the president of the a company you work for one day. Being polite is free. You can take advantage of that and start saying hi to your potential boss or to your potential new friend! Did something similar ever happen to you? Have you been part of the “natural selection” at your school or place of work? As foreigners living in another country almost everything around us is different. The food, the cultural habits, the ways to communicate with people, the colloquial words particular to each country, the music and even what people consider funny. When some people move from their country of origin or the one they had lived in for most of their lives, to a new country, they start complaining about the things that do not fulfill their requirements. The issue here, is that those requirements are based on their own country’s rules. For those who live in a different country and for their friends also, here is a list of the things that are to be avoided if your desire is to adapt to the new country you are living in. The food is going to be different. If you are expecting to eat the same food that you ate in your country, you’ll be disappointed. Even if the restaurant’s name is the name of your country it is very likely that the products they use are different from the ones back home. You’ll get used to the new flavors before you even notice, and when you actually eat something from your country you’ll enjoy it 10 times more! Even if you learned the language before your arrival, when you first get there you will need some time to adjust and learn the new lingo. Every country has specific words that you will have to learn in order to be able to fully participate in the conversations. Challenge yourself and always be prepared to learn something new. People know your first language is not the same one that they speak and they will understand if you make mistakes. Don’t be afraid to speak, practice is what you need to become an expert! It is rude and people don’t like it when you speak in your own language and they can’t understand you. I know that whenever you find someone who speaks the same language that you do, you want to stay in your comfort zone. This really annoys the people who don’t speak the same language that you do. In your country there are many little habits that you do and probably don’t even notice. When you move to another country you start to realize that you do things differently. When you are living in a system with different rules you have to follow them. Being different is nice and every now and then is cool to show how you do it in your country, but not always. Show your friends that you care about their way of doing things and that you respect their culture. This is the most important thing to avoid as a foreigner. Don’t complain! People that complain about the new country are annoying. There is a reason why you moved. If you miss your country, that’s perfectly understandable and we all go through the same. Complaining and comparing your country with the one you are living now and stating all the facts why your country is better is not the way to go when you are trying to fit into this new environment. Talk about the good things from your culture and share about your country while also emphasizing good things about your current country of residence. Explore, enjoy, have fun! You have the opportunity that few have, which is to live in another country and get to know another culture by experiencing it. Being a foreigner can be really fun. How it turns out to be is up to you! I know there are many more points to avoid when someone is living in another country. What do you think I’m missing? Do you have friends that are foreigners and do some of these things? Awkward. That’s the best way to describe small talks that you have to deal with every day. Why do we do it? Why not just say hello, smile and continue on our way? Living on campus, I have these type of conversations a gazillion times a day. The worst thing is that I will probably have the same conversation with the same person the next day. What if I am not “good”? Should I say it, or that would make the situation even more awkward? I guess people who “small talk” are not really looking forward to have a real conversation. It would be interesting if we would try to use different words with each person that we would encounter. If we actually care about the person that we have in front of us we can turn a small talk into a conversation. Let me tell you why I think this is an awkward situation. It is very likely that the people who you have these conversations with are not really your friends. Maybe you would like them to be your friends, but you just don’t know how to get from “Hey, how are you?” to “The most amazing thing happened to me today!” Small talk is probably a good way to start, but you really need to step up your game and have something ready to say when you see that person. The funny part of small talk is when we answer the wrong question because you are on the go. You expect them to greet you in a certain way and they say something else. Again, it’s awkward. But, don’t worry. 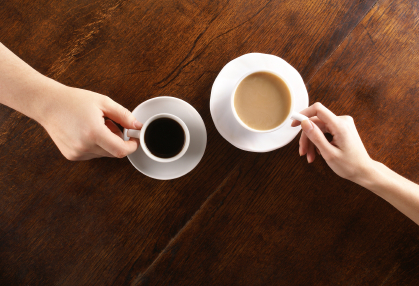 As we once saw in the movie Hitch, small talk can be improved. Think about the environment that you are going to be into. If it is at school, remember the names of your peers. If it is a social event, research the purpose of the event and who is organizing it. Listening is a very important part of every conversation. If you listen you will have more to say! Show a big smile and give the impression of being in a good mood. It’s very common for people to say “I am tired” when they don’t know what to say. Avoid this! Smiles change the course of actions! Don’t lie, but if you see something nice on the other person say it. It’s always a good starter. Talk about something that is going on in your life right now. Without taking it to a personal level, share what’s going on in your mind. The whole point is to generate a conversation, but knowing what to say is as important as knowing when to leave. Forced conversations are usually not a good idea. Relax and have fun, you will know when it’s time! By implementing all these you will be able to turn a small talk into a big conversation! Do you have a line to start small talk? Do you think is awkward to see the same people every day and say the exact same words? I had just arrived in Nashville for the first time. It was time to visit the city and get familiar with the place where I was going to live for the next two years. My family is friends with an awesome family (also from Argentina) that lives here in Nashville. They were great with us and hosted our visit as we explored Music City. One of the daughters of the family invited my sister and me to eat dinner with her and her older sister. We were very excited about our first outing around downtown. She told us she will pick us up from our hotel at around 7-ish. 7-ish? My mind tried to figured out what she meant by that “ish.” I knew that it meant around seven, but does that means that it’s going to be a few minutes before or after 7 p.m.? In Latin America, we really don’t know the meaning of “being five minutes early.” Why would someone choose to arrive earlier than agreed? Apparently, most Americans dissent with this worldview. I was about to get ready for our dinner, when I realized that it was only 6 p.m. and she had told me that she would come around 7. So, I still had time, right? It was 6:30 p.m. when I was finally getting ready. At 6:45 the phone rings. It was my friend that was downstairs. “Hey, I’m here,” she said. That’s when it hit me: 7-ish is not only used for when I am going to be a couple of minutes late, but also for when I am going to be a bit early. 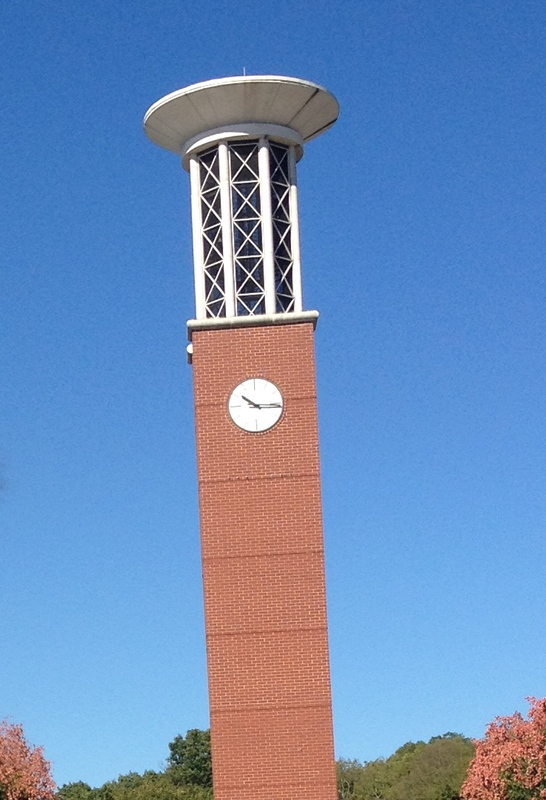 “If you are not going to be on time, be 10 minutes earlier,” is what one of my professors says all the time. If you are going to live in America or partake in events with Americans, this is my advice to you, as well. As a Latin American, I grew up in a society where no one really cared if someone was “fashionably late,” and for us that could mean up to half an hour late. Since I am in the U.S., I had to adjust my mind clock to function in the American way, and try to be as early as possible for every event. Are you from a culture that is always late, always early, or maybe right on time? What is your interpretation of 7-ish? Lately, I’ve been battling with whether or not I want my personal space. By personal space I am referring to when people are within an arm’s length of me. Back in Argentina, I wouldn’t even consider my personal space as “my property” because it is completely normal for friends to hug you or be close to you, sometimes closer that you would like. When I came to the U.S, I had to restrain myself from hugging people, and for a very long time I was more than happy with doing so. My personal space was free from intruders, and I could live without worries. Not that I don’t like personal contact of any kind, don’t get me wrong, I do. But I’m only comfortable with it on certain occasions. However, after a while of being surrounded by Americans with different cultural habits than me, I started to miss that warm sign of affection. The problem is, now I find myself in the limbo of hugs– I just don’t know when to give them. If I develop a good friendship with someone, I find myself inclined to hug him or her, but if I don’t really know the person very well, then hugs are always out of the question. This is because for me a hug might be a simple way of greeting someone, but in the U.S it might mean something else. There are different types of hugs, and it all depends of what type of hug you are giving. If you are saying hi to a friend, the normal hug would be the side-to-side hug, where two people stand next to each other embracing around the waist or shoulders. 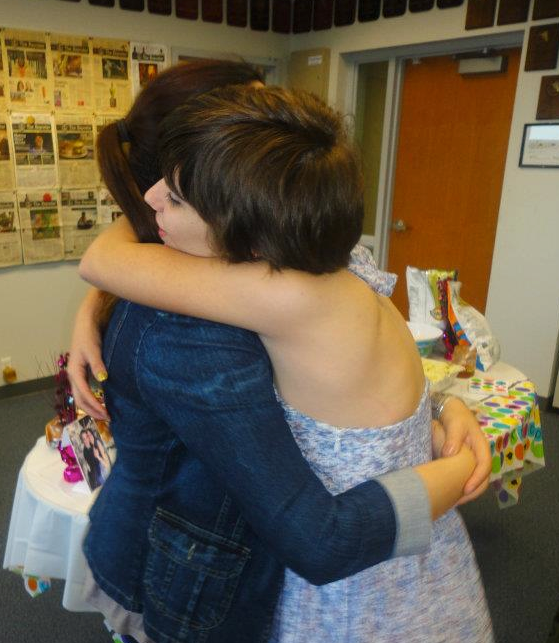 The side-to-side hug is a friendship saver. There are no confusions generated by this hug. If someone gives you one, that means you are just friends and there is no intention of invading your personal space. If you want to get more personal, the front hug it’s what you are looking for. You have to be careful with this hug because even though huggers stand about a foot and a half apart, one person may interpret that there is something more than friendship between them. These hugs are to be given only 0n special occasions. The most important and common hug is custom-tailored. It’s the one where you squeeze the other person to the point that there is no space between the two of you. Don’t try this one at home if you are not ready to see the consequences. Being in a culture where people are not used to hugging as much makes it kind of hard to find the right balance between respecting their personal space and demonstrating your affection for them. After considering these factors, I have realized that I would rather have the affection of my friends than keep my personal space. Are you a hugger? Would you rather hug someone or keep your personal space? What other types of hugs do you like to give? Whether you are from the States or from any other part of the world, finding someone that you love and that loves you back is hard to do. When you are dealing with people from your own culture, it’s easy to know how to act or what the other person means when they say or do something. But if we are talking about understanding another culture for this type of interaction, things can be a little confusing. Almost every girl has a list of the things she wants in her “ideal match,” whether it is written or in her head– and guys do, too. Finding someone that fulfills the requirements of your list can be complicated. First of all, the person needs to have at least three major characteristics from your list. What are the most important ones? Only you know, but if you have them in mind it will save you a lot of time that you might be wasting with “players,” luring you into a relationship that you are not looking forward to having. I was completely sure of the type of guy I wanted to date: someone who loves God more than anything else in this world, fair-colored hair, speaks English as his first language, and ready to start a serious relationship. In other words, the “keeper” kind of guy. I met someone from my same culture, atheist, with dark hair, that speaks Spanish as his first language, and absolutely not ready for a serious relationship– and I was attracted to him. I thought that because of his charming personality, it didn’t really matter if he didn’t have most of the characteristics on my list. Our conversations were so deep and honest that I thought I was talking to my soul mate. The way we understood each other and helped one another through hard times is not something that you find every day. One week, everything changed. He was not the same person, or maybe he was showing his true character. It didn’t take long until I realize that being with him was one of the dumbest decisions I’ve ever made. In between distrust and tears, I had to go back to that list and put my priorities in order. When I finally did that, things started to look good again. After doing that, I was at the starting point, ready to set out on my journey that will eventually lead me to the person with the characteristics on my list. Dating is never easy, but setting priorities and knowing what you want will eventually take you to the right person that will make you realize that all the waiting was worth it. America has something notoriously different from every other country that foreigners can tell immediately. In my country, if someone gives you their phone number it’s because they are friends or maybe because they need it (to ask a question about a class or just to be in contact), and it doesn’t mean there is any interest in the other person. Here, it’s the opposite. So, be careful not to give the wrong impression. Texting is one of the things that changes completely. 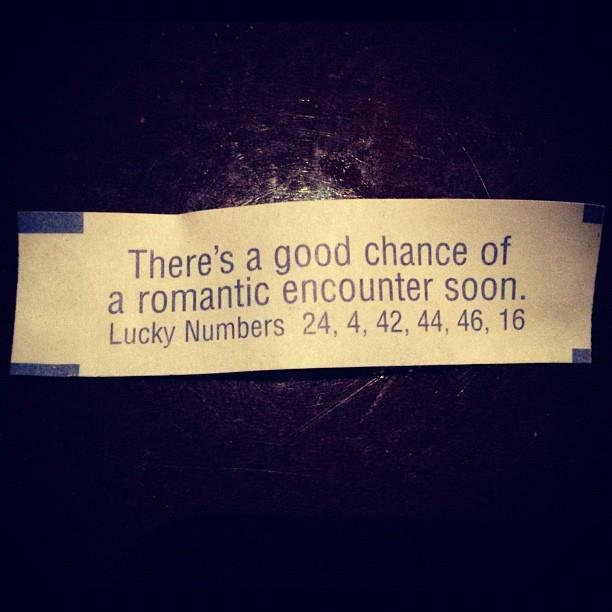 This is an inevitable part of the dating process. If you asked yourself why, then you are probably already married or out of the “dating stage.” When relationships begin, there is usually texting involved. First, as friends with random text messages about irrelevant questions. Then, the phone calls begin to appear. In Argentina, smily faces and exclamation marks are not always a sign of flirting. If you are a woman from Latin America, then you are probably used to waiting for the man to open the door of the car for you. For some strange reason, this is not as common among American boys. Some of the rare specimens will surprise you with this attitude, others were not raised with this quality. If you were wondering about who pays the bill on a date, the answer depends on whether you like the guy or not. If you do like him, he can pay. If not, then you have to pay. And about sharing your frozen yogurt, you might want to think twice if you want to do that. Decide before you get in the car because if you share that delicious dessert then you are sending him a message. The next thing you know, you are in a relationship without even knowing about it. There are endless aspects when it comes to dating. Some cultures share habits and some others are completely different. You might be living in a country where your culture differs from the one that primes in that place. Even if you have never left your country of origin, but have met some foreign people, can you tell the difference? inside scoop on all things Nashville and Lipscomb related! 5..6..7..8! Here are some cheer tips you'll appreciate!